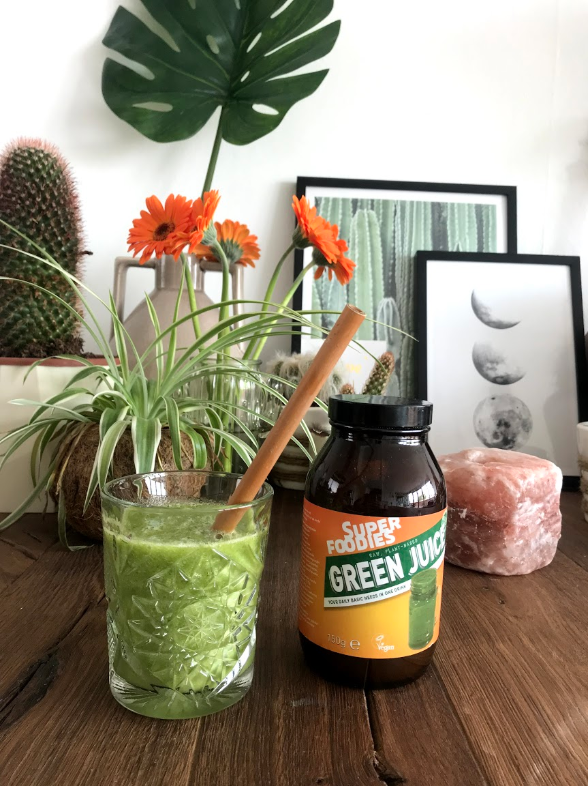 As you may now I had some health issues lately, especially with my b12 deficiency and I got a lot of recommendations for using the Green Juice. The Green juice a ready to mix powder drink mix from Superfoodies with 26 ingredients from the ocean & earth. It contains all of your daily basic needs in nutrients and it brings your body in balance. You can buy the Green Juice here. What I really like about this juice is that it’s super easy to make. You can just mix it with water and drink it like that (Luckily it’s also kind of sweet because of the natural fruit powders in it), but you could also mix it with your favorite smoothie. Sometimes I just make a little shot with the Green Juice powder and some water, so it’s super easy to add in your diet. 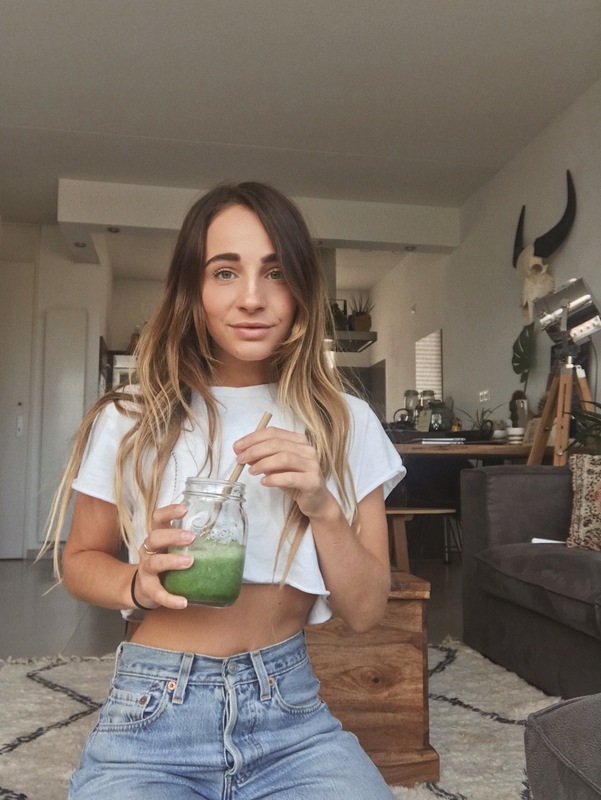 I tried the Green Juice for a week and I already noticed the difference. I have to be honest, because besides adding the Green Juice, I also didn’t drink alcohol and ate healthy (like I always do), so of course that’s important as well to feel at your best. I did notice my skin does look a lot better. Before I started this week I had a lot of pimples and a unclear skin. Now, after the week my skin looks much better and I don’t have any pimples. I also slept better and I feel super fresh and energized. Before I started I had a lot of days I felt bloated and I didn’t feel comfortable in my skin, but I wasn’t bloated all week and my stomach feels in balance. Off course, it’s also because of my healthy diet without alcohol and working out, but I really noticed a difference which makes sense because you’re body is receiving all the nutriens it needs. I have no idea if this will actually have an effect for my hair and of course it will take a longer period then a week before you can see any difference with your hair, but I really have faith in this product. I would definitely recommend the Green Juice, not just for the results, but also to get your body in balance with all the nutrients it needs. I’m very curious if you want to try the Green Juice yourself and when you do, what difference did it make for you?